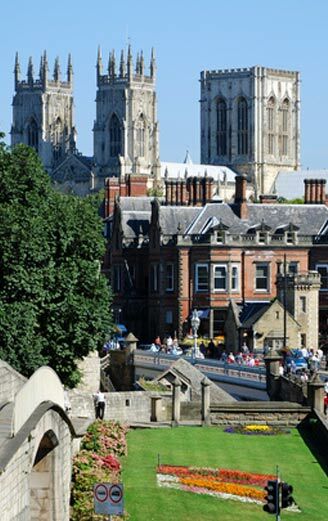 The City of York has been ruled by and influenced by numerous groups of people in its history such as the Romans and Vikings, all of whom have left their mark on the city. Tourists head for Old Walled City where they find historic buildings, York Minster, visitor attractions and the Shambles narrow shopping streets. A popular tourist destination in England, York is a bustling place with much to offer tourists in the form of accommodation, entertainment, places to visit, restaurants and other eateries and night life.